This weekend family fun had many components. Some of the family fun I am not entirely privy to because my husband and I celebrated our anniversary on a Hilton San Diego Bayfront Staycation while Nana and Sir took care of the kids. However, we do know that according to our oldest (Superego), Nana used some curse words and Nana felt compelled to confess this to me before Superego got to me first. 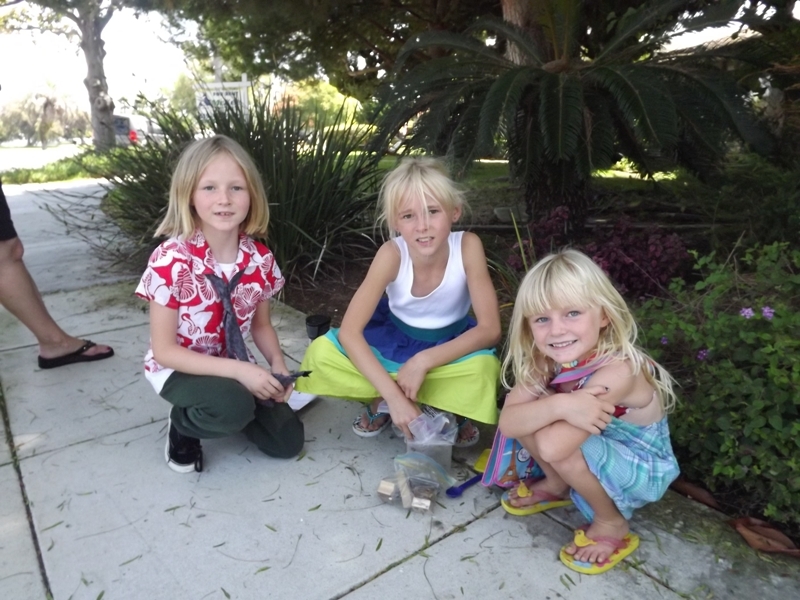 But before my husband and I left our children in the hands of “sailor mouth” Nana, I decided to take the children on a letterboxing adventure in Coronado. Yes, Ego has a shirt and tie on! 3) And finally, if you have children who are difficult to get to sleep, be sure you call up my children’s Nana and ask her the name of the book that she gave me that made me cry and pee my pants I was laughing so hard. Ok, I’ll tell you . . . the book is called “Go the F*** to Sleep”. Even if you have kids who sleep like angels, this book will make you laugh out loud. Hilton San Diego Bayfront Took incredible care of us, and although we didn’t take our kids, we did notice how many great activities they have for kids. They also have fantastic restaurants and bars. We spent the entire weekend there with a Bay view room and it was absolutely spectacular. Go the F*** to Sleep book. Again, laugh out loud funny! Letterboxing – much easier than finding the Geocaches with GPS. Nana's brother is surprised at her behavior. She was not brought up this way.